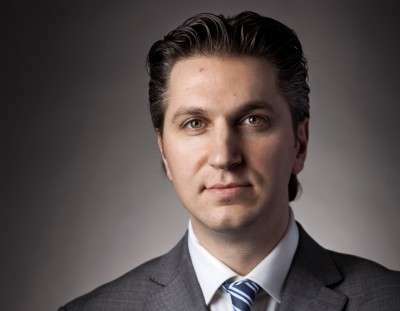 David Baazov, the CEO and co-founder of Amaya, Inc., has filed a written not-guilty plea to charges filed against him in March by Quebec securities authorities over allegations of insider trading connected to Amaya’s business dealing in recent years, including the massive $4.9 billion reverse takeover of PokerStars parent Oldford Group in 2014. Baazov has emphatically denied the allegations brought by Quebec’s financial regulatory body, the Autorité des marchés financiers (AMF). Baazov and two other individuals, along with three corporate entities, were charged in March on a collective 23 counts connected to the alleged insider trading, with the allegations generally centered on assertions that Baazov himself shared privileged financial information with close associates. 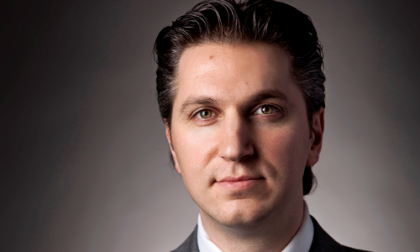 Baazov has taken an indefinite leave of absence from his twin Amaya roles of CEO and Chairman of the Board. Baazov remains an Amaya board member; news reports referring to him as Amaya’s “former” CEO are not entirely correct. According to a brief statement provided to the Toronto Sun by AMF spokesman Sylvain Theberge, all six of the charges parties have filed formal not-guilty pleas. Charged along with Baazov in March were two long-time friends of Baazov, Yoel Altman and Benjamin Ahdoot. Altman is a senior financial analyst for Pinetree Capital Corporation, who has previously been described in press reports as a long-time adviser to Amaya and a good friend of Baazov’s. Ahdoot, also reportedly a close Baazov friend, serves as Amaya’s Vice President of Government Projects. Altman faces six counts connected to the insider-trading allegations, while Ahdoot is named in four. Three corporate entities, Diocles Capital Inc., Sababa Consulting Inc. and 2374879 Ontario Inc., were also charged in March. The AMF’s Theberge, in commenting to the Sun, also confirmed that the case has yet to be forwarded to a Quebec court, but is expected to reach that step shortly. When that happens, a judge will be assigned to the case and a tentative trial date will be set. The penalties on each of the counts can be steep — a fine ranging from $5,000 to $5 million per count plus, for the individuals involved, as much as five years in prison. The AMF’s investigation into Baazov and Amaya was triggered by a precipitous rise in Amaya’s share price for a couple of months prior to Amaya’s 2014 acquisition of the PokerStars family. What the AMF described as its “largest ever” investigation also resulted in a second wave of insider-charges against 15 others with business ties to Amaya and Baazov, including Baazov’s older brother, Ofer Joshua Baazov. The 15 men separately charged by the AMF have not made any public disclosures regarding the filing of any pleas. Revealed along with the AMF’s announcing of those additional charges were allegations that the insider stock manipulation connected to Amaya’s business dealings with other companies dated back at least to 2010, when Amaya acquired Cryptologic. The allegations also involve Amaya’s business dealings with firms including Chartwell Technology Inc., WMS Industries inc., BWIN Share, and the Intertain Group Limited. The older Baazov and another close business associate, Craig Levett, another of the 15 men the AMF separately charged, are also tied to the founding of the company that later became Amaya. Levett and the older Baazov appear to have had some connection to the running of Amaya in the early years of its existence, though neither man now appears officially connected to Amaya, and any ongoing, indirect involvement by the two men to Amaya is unknown.